I've followed the Spektral Quartet since I first saw them at the Empty Bottle in 2011 (a string quartet in a punk bar??). I was hooked. I wrote about them. I saw them perform a bunch of times. I came to photograph them in concert. But this is the coolest. 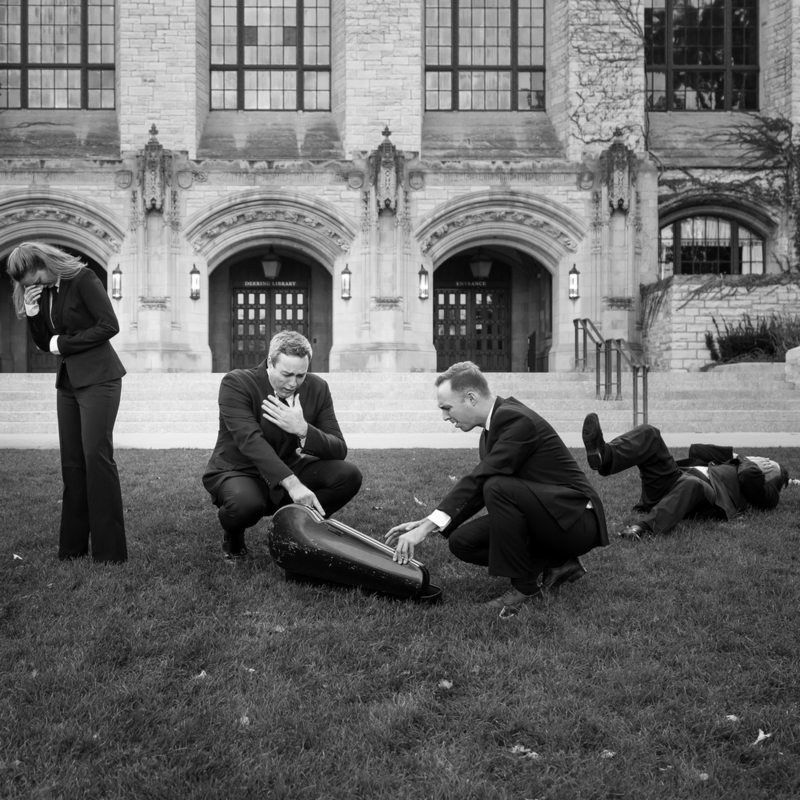 SQ's newest album, "Serious Business," features my cover photo. 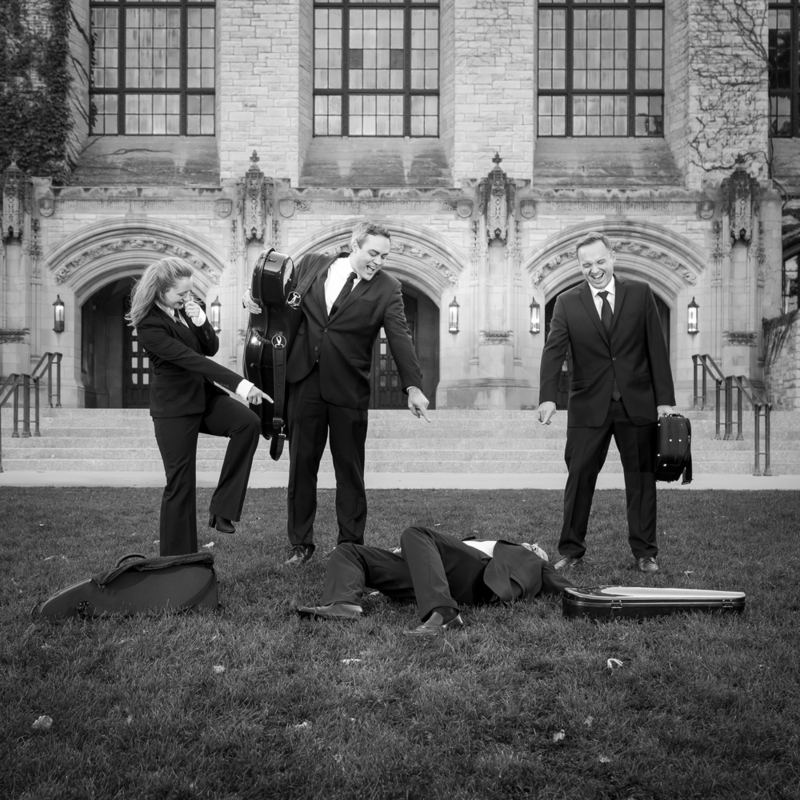 This is the quartet's fourth album, the first to feature their image, and my second album cover. 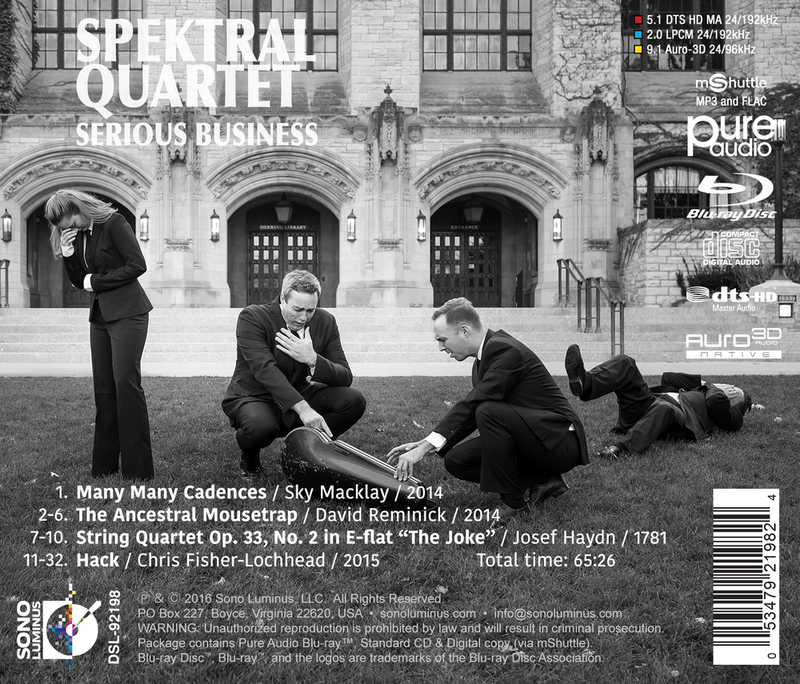 "Serious Business" is a disc of new and commissioned work (plus one very old joke) that explores the theme of humor in music. 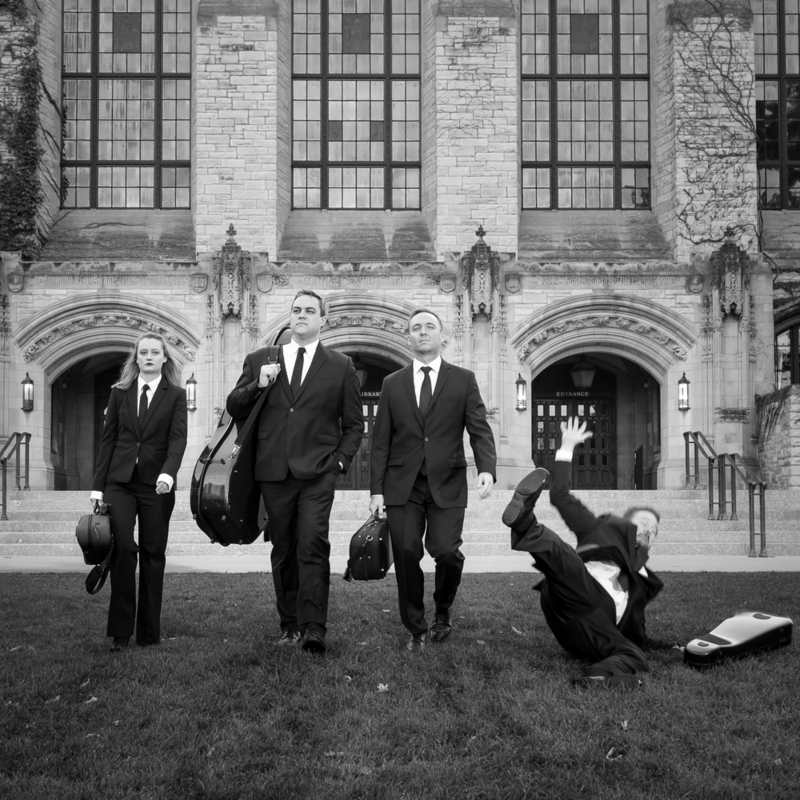 Since the days of "Abbey Road," quartets have been photographed walking to - who knows where? We tried the same thing, but Doyle kept falling. The album is due out in late January 2016, and you can catch the release concerts in Chicago on January 29 and 31.